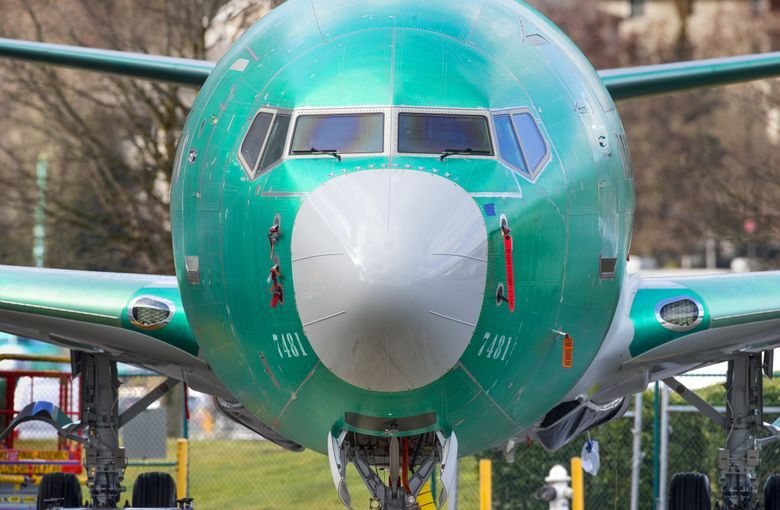 In the wake of two fatal crashes of Boeing’s new 737 MAX 8, the Federal Aviation Administration faces growing criticism for delegating much of the safety certification of the aircraft to the aerospace company itself. As The Seattle Times reported Sunday, some of the agency’s own engineers complained they were pressured to hand off too much safety analysis to Boeing on a new flight control system for the MAX, and that system is suspected of playing a role in both October’s Lion Air crash and the Ethiopian Airlines crash March 10. But the 737 MAX is hardly the first instance where the top federal aviation regulator outsourced at least some of its oversight duties to the very industry it is supposed to be overseeing. When overheating batteries grounded Boeing’s 787 Dreamliner in 2013, members of the flying public were surprised to learn that safety tests for those new lithium batteries had been conducted not by the FAA, but by Boeing. In fact, the practice of delegating safety certification–and the controversy surrounding that –goes back many decades. In the mid-1990s, the FAA came under intense criticism for allowing Boeing to control much of the safety certification process for the 777, the first generation of computer-guided aircraft and one of the most complex pieces of machinery ever assembled. At the time, critics questioned whether the company-led certification might overlook or discount important safety questions. Critics also wondered whether the decision to allow Boeing to run the certification process was motivated at least in part by Boeing’s financial need to meet a delivery deadline to United Airlines, the 777’s launch customer. Industry’s role in such safety assessments wasn’t always so controversial. From the 1940s onward, much of the testing of new aircraft was conducted by employees of the manufacturers who were on temporary assignment with the FAA. These so-called “designees” allowed the FAA to carry out safety certifications for an industry that each year was producing a larger number of ever more complex aircraft. But the FAA’s authority over the certification process began to shift away from the agency as aerospace companies lobbied Congress to change the certification process, said Jim Hall, a former chair of the National Transportation Safety Board who currently works as an aviation safety consultant. Companies like Boeing have been “wanting to to acquire more authority over the certification process ever since since the 1990s,” Hall said. Hall and others spoke out against these efforts by industry to move more of that certification authority from the FAA. But in 2005, the power shift accelerated. That year, the George W. Bush administration changed the certification process to allow Boeing and other companies the authority to appoint their own designees. The FAA also moved more of the oversight function out of the agency and into the companies themselves. Under a process known as Organization Designation Authorization, or ODA, companies that had received special approval by the FAA could create in-house bodies that oversee the designees who were working on certification. These in-house bodies are supposed to operate independently from the companies, although critics said they more often acted independently from the FAA. In many cases where the FAA demanded changes by a company during a certification process, the in-house bodies “have been quite aggressive in pushing back against the agency,” said the former DER. While the FAA still formally maintains the authority over which parts of the certification process to handle itself and which parts to delegate to companies, the 2005 policy change also brought increased pressure to give nearly the entire job of certifying aircraft safety to manufacturers. But those findings did little to reverse the trend toward outsourcing certification. In recent legislation, Congress actually made it more difficult for the FAA not to delegate even more of the certification process. But with the fatal crashes of the 737 MAX, Hall said there may finally be enough political will to at least revisit the concept of outsourced safety certification. Investigations of the FAA’s decision-making process on the MAX are expected to be at the center of an investigation by the inspector general’s office at the U.S. Department of Transportation, and a federal grand jury is also looking into the matter.